Long Island homes are especially vulnerable to mold and mildew problems. 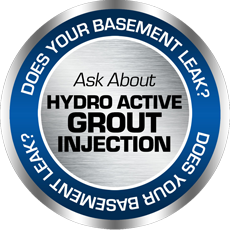 If there are cracks in your basement walls, floor or foundation it can result in water leakage. 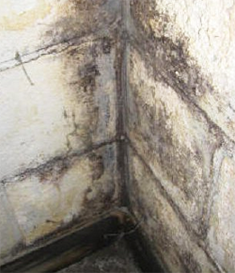 Even if this leakage is subtle over time it is very likely that your home will begin to grow mold and mildew. 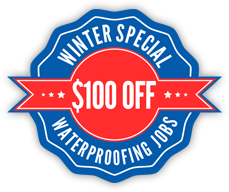 If this occurs in your home or business you should have a professional waterproofing expert inspect your basement before the damage worsens and before health problems occur because of unchecked mold and mildew. If the moisture in your basement remains or if the cracks that allowed that moisture to enter remain, mold and mildew will thrive and continue to grow in your home or office. It is a water problem that must be addressed. The professionals at Repel Restoration can inspect your basement and educate you as to the different solutions that may be appropriate for your specific Long Island basement waterproofing problem. Molds are fungi. There are many species of fungi that exist. Estimates range from tens of thousands to perhaps three hundred thousand. Molds grow best in warm, damp, and humid conditions, and spread and reproduce by making spores. Molds / Fungi effect people differently. Some people are very sensitive to molds. For these people, exposure to molds can cause symptoms such as eye irritation, wheezing, nasal stuffiness, and/or skin irritation. Some people, such as those with serious allergies to molds, may have more severe reactions. These reactions may include fever and shortness of breath. Some people with chronic lung illnesses, such as obstructive lung disease, may develop mold infections in their lungs.